What is the Ventralex ST Hernia Patch? Ventralex ST Hernia Patch was designed for the repair of umbilical and other small ventral hernias. The Ventralex ST Hernia patch uses sepra technology. One side of the patch is coated with a hydrogel barrier which helps prevent organs and tissue from attaching to the mesh during the healing process. This hydrogel barrier was designed to be absorbed by the body within 30 days. The other side of the patch is uncoated and was designed to promote quick and complete tissue growth for a strong and lasting result. What is wrong with the Ventralex ST Hernia Patch? Unfortunately, the Ventralex ST Hernia Patch is made from polypropylene. Polypropylene has been the subject of significant litigation for other products that used polypropylene including transvaginal mesh and bladder sling products. In fact, C.F. Bard, Inc. and its subsidiary, Davol, have already faced a large number of lawsuits over these types of products. Did the Ventralex ST Hernia Patch receive FDA approval? The FDA approved Ventralex ST on March 11, 2011. The approval was done via the often-criticized 510(k) approval process. This process allows a manufacturer to obtain approval for a medical product and release it to the public if it is substantially similar to a product already approved by the FDA and on the market. For the approval of Ventralex ST, C.F. Bard, Inc/Davol claimed it was similar to its predicate device, Ventralex Hernia Patch, which had been approved in 2002. In turn, the Ventralex Hernia Patch’s predicate device was Bard Composix Kugel Mesh. The Davol/C.F. Bard, Inc. Composix Kugel Mesh Patch has been recalled. I had a hernia repair and am experiencing serious problems. How do I know if I have the Ventralex ST Hernia Patch? Medical devices are packaged with labels which identify the manufacturer, type of product and lot number of the product. This label is then placed in the patient’s medical chart by the surgeon or the surgeon’s staff to make it easy for future medical providers and others to confirm which type of product was used for the patient. 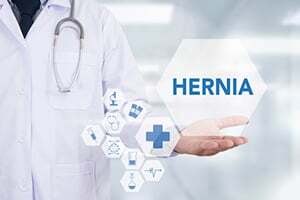 If you are having serious problems following a hernia repair, our legal team can request your medical records and determine if the Ventralex ST product was used in your hernia repair. Of course, there are a number of mesh products that are the focus of litigation, so even if you do not have Ventralex ST you may have another defective product. What do I do if I think I have a Ventralex ST Hernia Patch? Give our award-winning lawyers a call today for a free, confidential, no-pressure case evaluation. We handle all mesh cases on a contingency basis so we only get paid if we recover money for you. We advance all case expenses without charging interest, without asking you to obtain litigation loans and without asking you for a penny out-of-pocket to pursue your case. Call us anytime at 615-742-4880 (Nashville) or 615-867-9900 (Murfreesboro) or 866.812.8787 (toll-free from anywhere). Or, you can contact us online and we will call you. We would be honored to help you with your hernia mesh case.